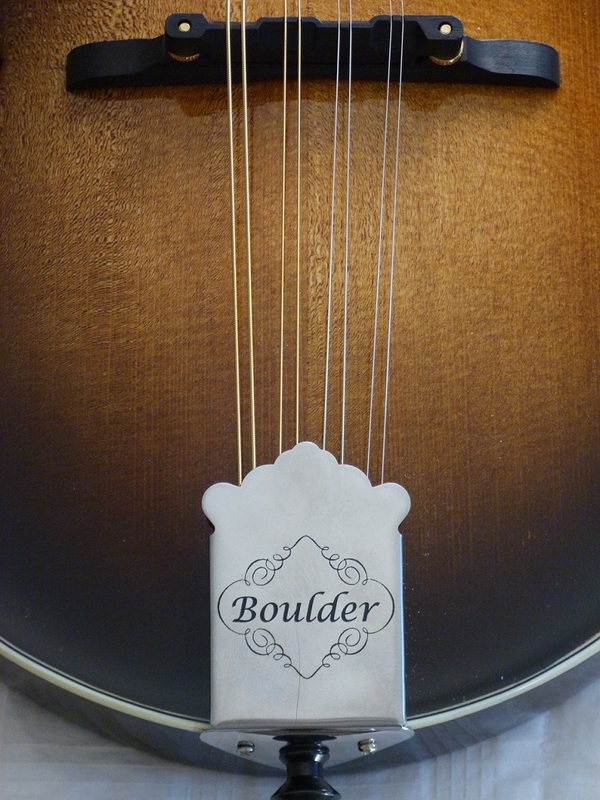 Boulder Mandolin Works is located in Boulder County, Colorado, right where the American High Plains meet the Rocky Mountains. 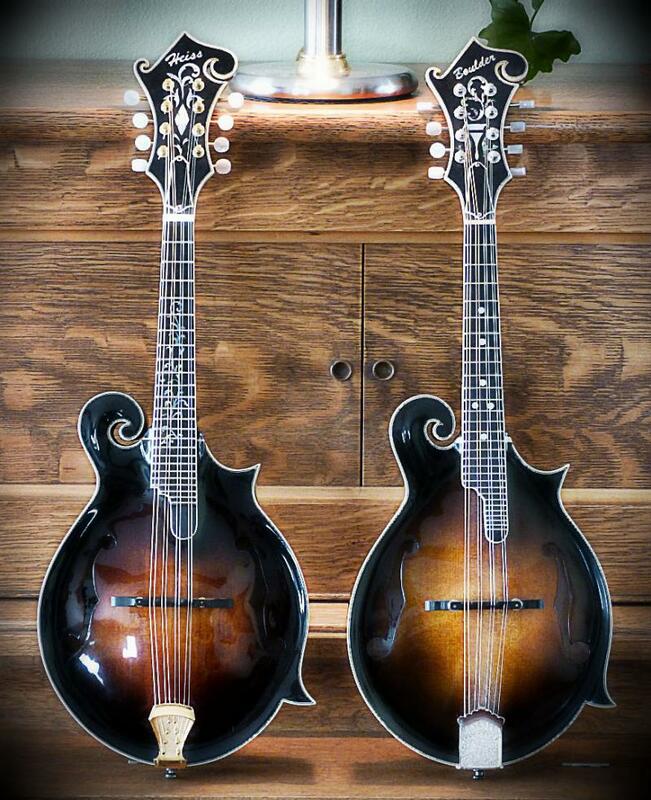 These fine handcrafted "F" and "A" style mandolins reflect the simple beauty and natural spirit of the west. 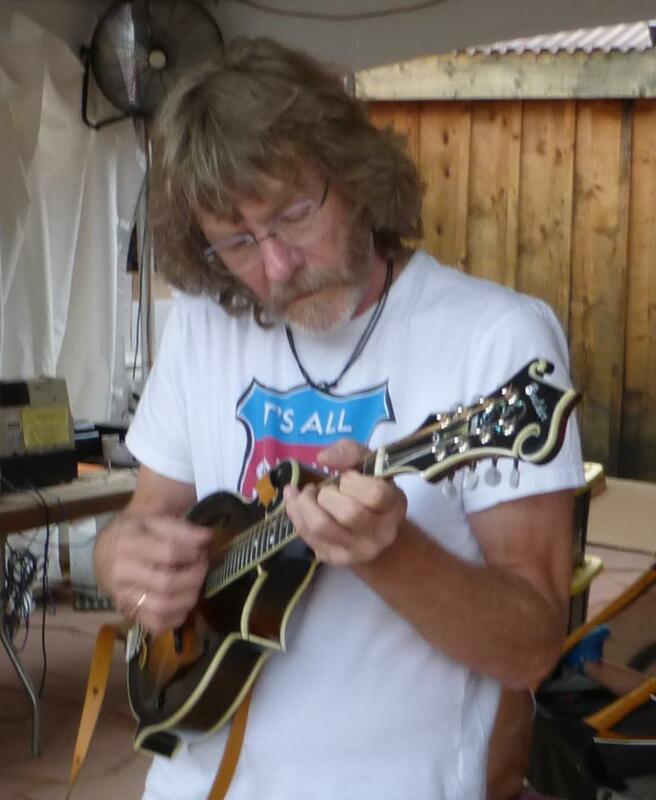 Every Boulder Mandolin is hand made, one at a time. Using select tonewoods, digital calibration for top and back thicknesses, and only high quality finishing materials, each one is built by me in my "solar powered" shop, right here in Niwot, Colorado. And because no two pieces of wood are identical, your handmade "A" or "F" style mandolin will be one of a kind, with it's own unique beauty and sound! 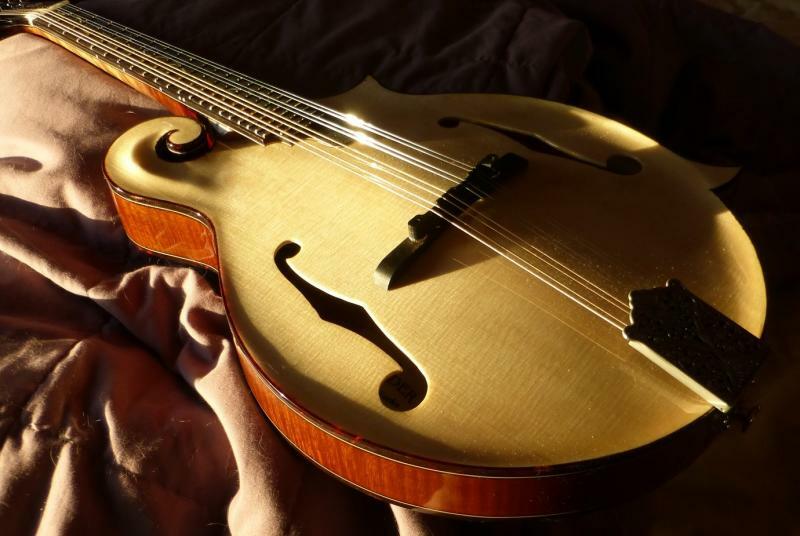 Each Boulder Mandolin has a ﻿booked matched spruce top, andfigured maple back and neck. The inlays on the ebony headstock and radiused ebony fret board are crisp, elegant, and simple abalone shell or Mother of Pearl. Most Boulder Mandolins have a classic tobacco brown fade to black nitrocellulose lacquer finish. 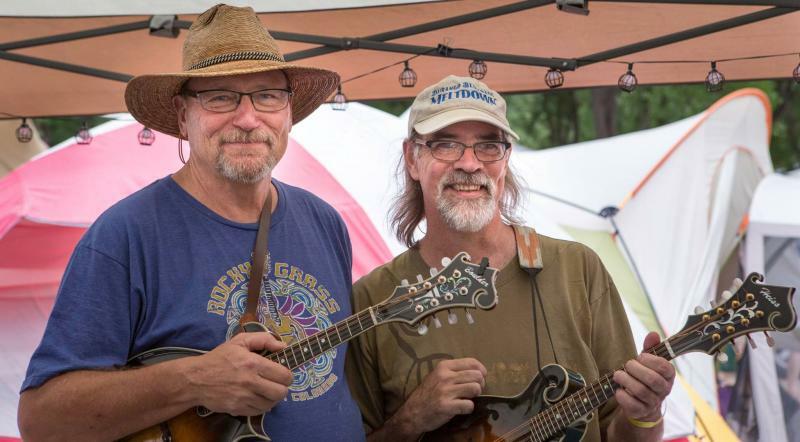 Me and Kevin Slick (recording artist, 2013 Sante Fe Bluegrass guitar champ, in "Steel Pennies," Wernick Method Jamming instructor) with #4.